I am always confused by graham cracker measurements. Different brands package their crackers differently. What this recipe refers to are the crackers packaged in little 8 cracker squares – that are actually square. Other brands have rectangular crackers and people call them squares. But there IS a difference! Rectangles have two long sides and squares have sides the same length. Ask the little school person in your life! Those rectangles contain TWO squares each. To break crackers, grasp each cracker along the perforation firmly with all four fingers on the bottom and the base of the thumb and the thumb itself on top. Snaps cleanly. 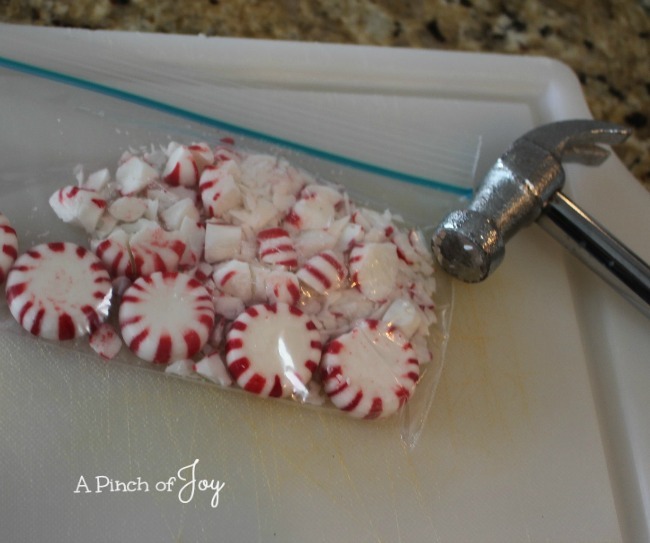 The easiest way to crush peppermint candies. No hammer handy? Use something unbreakable with a bit of weight. 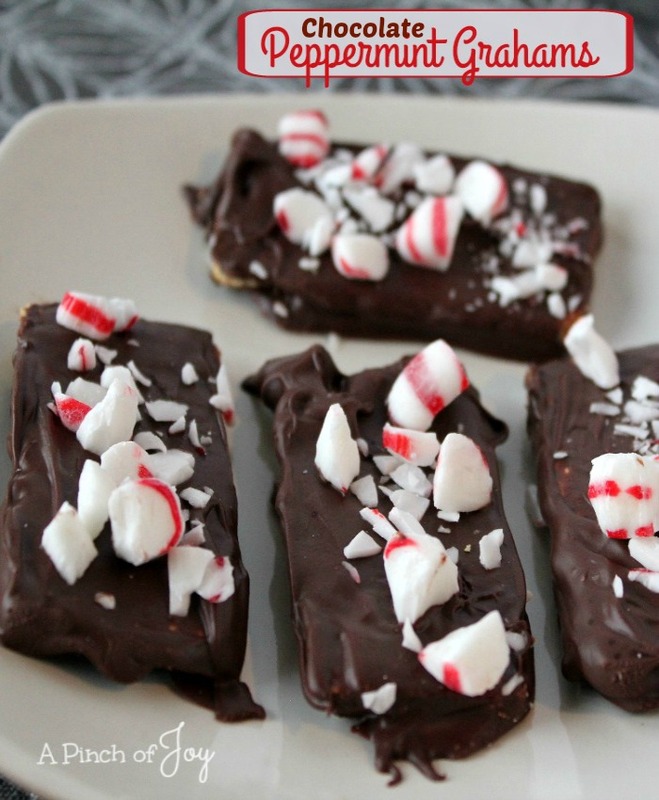 You CAN dip the entire cracker into the chocolate. However – it’s messy to make and messy to eat. And if you are a traumatized dipper like I am (Peppermint Patties) you avoid such controversy. I just spread and topped. Turned out fine and made more candies. The taste testers liked them both after they set overnight and the chocolate melded with the grahams. Why get messy when you can avoid it, I say! You may not be as messy as I am, so feel free to try the dip method.